Brenta Dolomites In the town center! Living room with kitchen and beds - bathroom - 3 beds. Living room - bedroom - bathroom - kitchen - 3 beds. Living room - bedroom - bathroom - kitchen - balcony - 3 beds. Living room - bedroom - bathroom - kitchen - terrace - 3 beds. Living room - bedroom - bathroom - kitchen - balcony - 4 beds. Living room - 2 bedrooms - bathroom - kitchen - balcony - 4 beds. Living room - 2 bedrooms - bathroom - kitchen - balcony - 5 beds. Living room - 2 bedrooms - 2 bathrooms - kitchen - balcony - 5 beds. 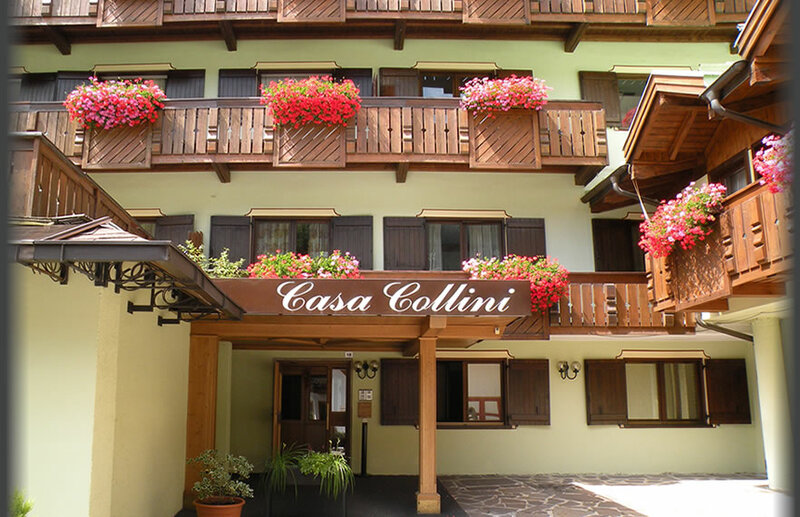 Our apartments in Madonna di Campiglio are fully furnished, linen included, weekly changed. RESERVATIONS: directly to our address. DOWN PAYMENT: equivalent to 50% of the total price, balance up on arrival. CHECK-IN TIME: from 5.00 p.m. to 8.00 p.m. Please advise of late arrival. No notice, implies cancellation of reservation and loss of down payment. CHECK-OUT TIME: the apartment has to be left by 9.30 a.m. CLEANING: daily cleaning on request, with extra charge. CANCELLATION: the down payment will be rendered, only if the apartment can be resold.